First, some history. 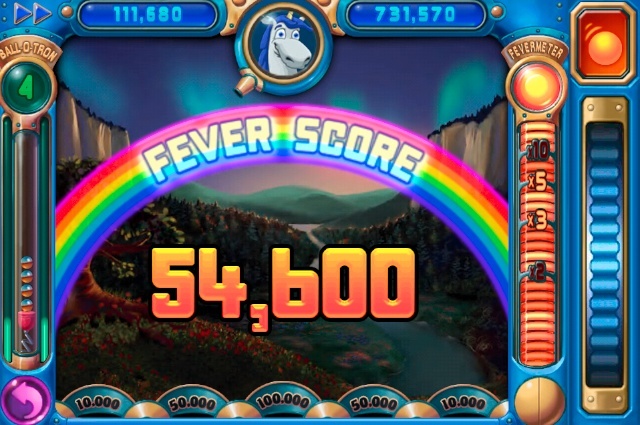 If you aren’t familiar with the game, Peggle is modeled after the Japanese pachinko machine. You have a silver ball – like a pinball ball but smaller – that you shoot at a whole bunch of pegs. You want to hit all of the pegs of a certain color in as few balls as possible. Also, unicorns, rainbows, aliens, and dragons are involved. Peggle Deluxe was originally released back in 2007 as a PC title (Steam link). That was back before the days of Apple’s App Store, but this game was built for mobile before mobile games were even a thing. Thankfully for us (but not for my productivity), since then the game has been released on pretty much everything from mobile phones to consoles and handhelds too. 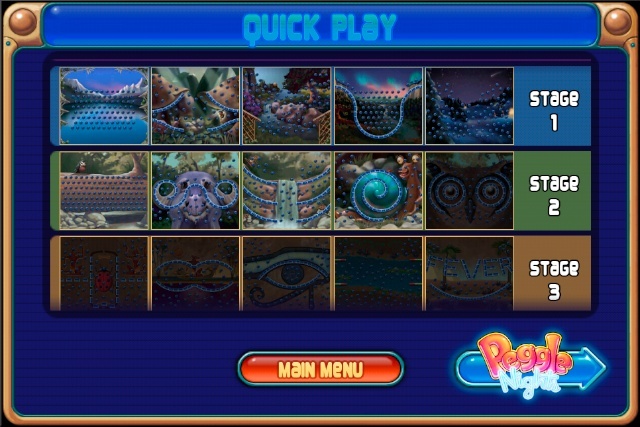 So here’s my favorite reason why Peggle is amazing: it progresses at just the right pace. Peggle’s Adventure mode (the story mode, basically) is broken into 12 stages. Each stage features a new power-up that has a huge impact on the game. One makes it easier to figure out where the ball will bounce, another produces a big ball of fire that goes right through the board, and another adds pinball-like flippers onto the screen to keep the ball in the air longer. Each of these power-ups is game-changing enough that to be successful, the player really needs to plan their strategy around it. Each stage consists of 5 boards/levels. That’s exactly the right number – not too few so the player can’t get a hang of the power-up, but not too many that it gets repetitive. The first couple boards are spent getting familiar with the new special ability, the middle boards for honing the strategy, and by the last one the player is a peg-dominating machine with a good grasp on how to maximize their success. Any more or any less boards on a stage wouldn’t be nearly as good. 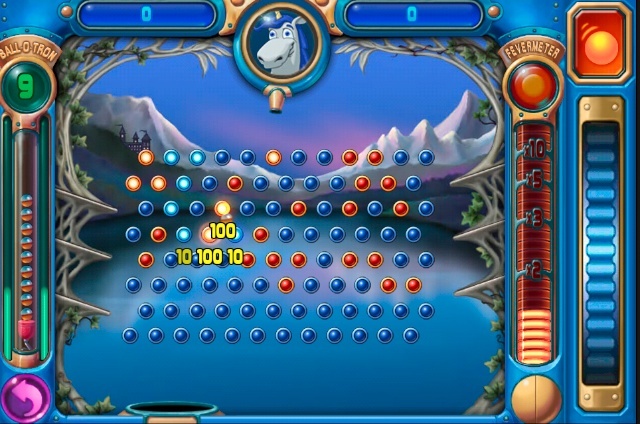 After Peggle’s Adventure mode is over, there is still plenty to do – high score hunting, challenges, multiplayer modes, not to mention the sequel Peggle Nights. By the time the player makes it through all of the stages, pacing doesn’t matter, because it’s way too late for them to escape the addiction. 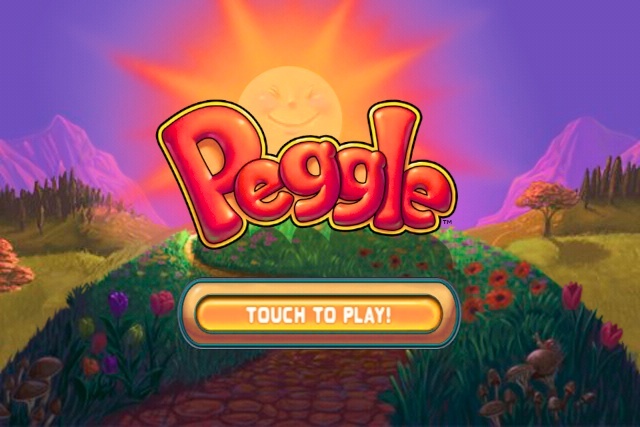 If you’re building a casual game, PopCap’s Peggle is absolutely one to emulate. The pacing the game offers feeds the “just one more level” mentality by offering small bites of consistent, predictable action with one game-changing tweak with every new stage. If you’re building another game that’s equally as good, just don’t tell me about it – I can’t handle having two Peggles on my phone! This entry was posted in Browser, Casual, Console, Mobile, PC by mark d. Bookmark the permalink. That’s totally the kind of game I don’t get: barely any interactivity and success based on dumb luck. You mentioned strategy however so I must ask: what kind of strategy is there besides shooting the ball in a general direction and hoping it to bounce the right way? That’s a fair question. There’s definitely a lot of dumb luck, but the first couple bounces of your ball are pretty well controlled by the player. So you can guide your ball into a general direction at least before the dumb luck kicks in. I think it’s that combination of being in control and still relying on some amount of “lucky bounces” that makes it so entertaining. Speaking from personal experience working on games, sometimes it’s that element of luck that really makes or breaks a game. Even looking at a standard rpg, which is full of math and strategy, each item/skill is likely to show a range of possible values rather than a sure point. Each strike holds an element of luck. Critical strikes are often nothing more than dumb luck yet we rejoice at the big numbers and flashy animations. Are you into rts or turn-based? Nothing wrong with luck in games, but I only care if it introduces a new element of gameplay beyond randomness itself. For example, in RPGs, randomness prevent battles from being repetitive and encourages adaptive strategies even when luck is on the player’s side. Personally I hate RTS but I do enjoy many turn-based.